Great coaching is clearly not one size fits all. As North Carolina Women’s Soccer Coach Anson Dorrance explains here, different players are often motivated by vastly different things, so good coaches need to find ways to connect with each player. In this video, Dorrance gives a great example of this with an anecdote about one of his former players, Nel Fettig, a three-time All American from 1995 to 1997 who started on three of the Tarheels’ NCAA championship teams. Dorrance had a number of meetings with Fettig in which he told her that she was great and could be even greater with a few tweaks to her game. He soon discovered that telling her what she needed to change was exactly the wrong approach. Once he found a better way to connect with her, she thrived at UNC and beyond. 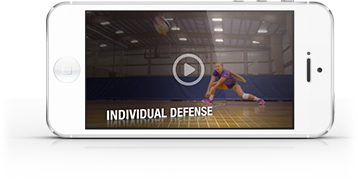 Watch the video to see how he changed his strategy and what he says about the importance of adapting to a player’s individual needs.